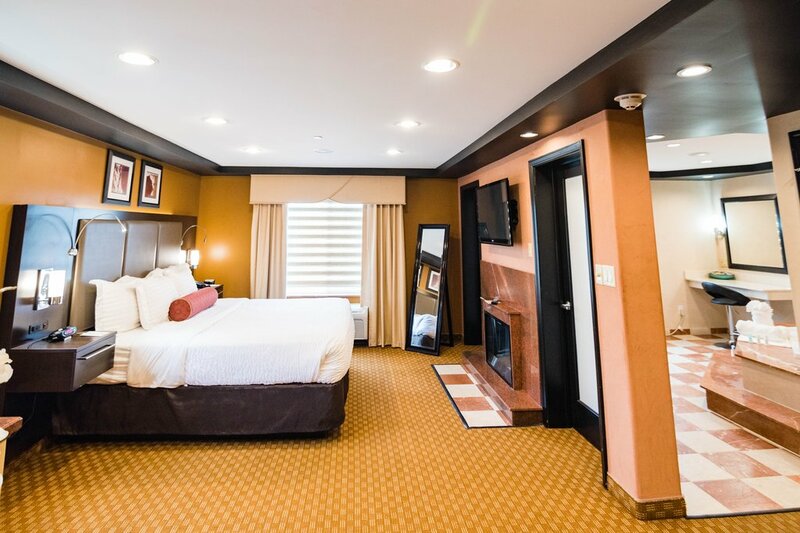 Indulge in something special, and book our 1 King Bed, 2 Level Room here at Clarion Inn Elmhurst-Oakbrook. 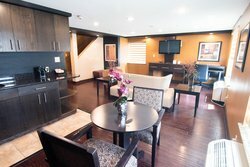 Escape to our Honeymoon Jacuzzi Suite in Illinois, equipped with a luxurious king bed and two-person Jacuzzi tub. After an unforgettable day celebrating your special union at our charming wedding venue, this elevated accommodation option is the perfect setting for a romantic getaway. 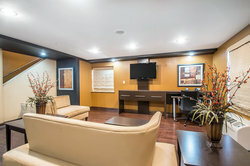 This hotel suite comes with all of our standard in-room amenities, in addition to all of the thoughtful touches designed to provide a more upscale retreat for you and that special someone. The bathroom showcases a Jacuzzi tub and rainfall shower with six massager heads and connects to the elegant bedroom via a see-through fireplace. 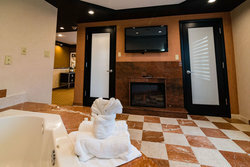 The Honeymoon Suite includes an exquisite wet bar in the downstairs living area, in addition to multiple televisions in the bedroom, living room, and bathroom. 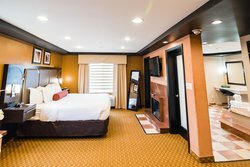 Book your stay at our Honeymoon Jacuzzi Suite in Illinois and experience a retreat for two away from the hustle and bustle of everyday life. We look forward to hosting you!